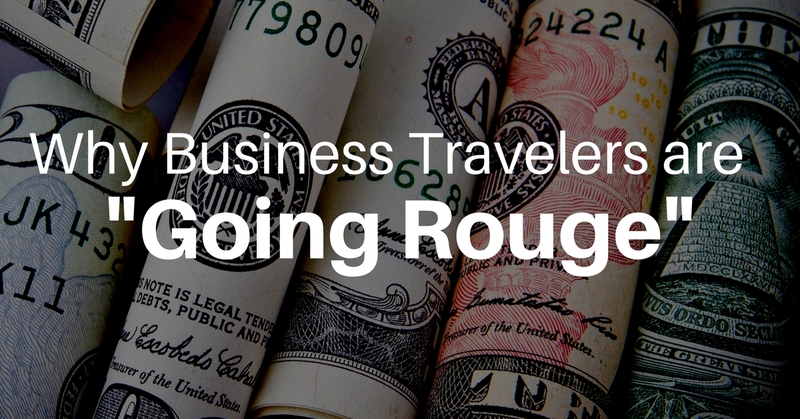 Every year, more and more business travelers are "Going Rouge". All this means is that they prefer booking travel themselves rather than using a company travel agent or booking system. While 60 percent of companies have a travel policy in place, more than half of business travelers are still allowed to book travel using any method they choose, and nearly half (46 percent) have done so for hotel bookings. Why are business travelers choosing to book on their own? We live in a connected world where the best deals are a simple search and click away. People like to shop around for travel before booking and don't want to be limited to a single inventory source. According to Expedia, consumers visit 38 sites on average before booking (Source). OTAs (Online Travel Agencies) like Priceline, Expedia and Hotels.com make it super simple to book travel, manage changes and save receipts. 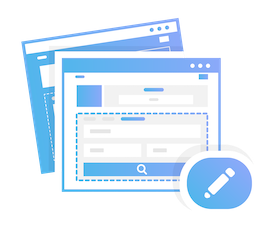 They also have a well-defined UI/UX that is the the result of 1000s of tests and trails. Plus, people like the added control. This is a big one that isn't always always talked about but is a huge driver in a traveler's decision to book on their own. It's a great deal because the business traveler can earn reward points and cash back using their company's money. For frequent travelers, this can result in thousands of dollar in rewards over the course of a year - especially if they layer their rewards. Loyalty Rewards - Every online booking site (whether it be an OTA or direct site) offers reward points for creating a membership account when booking. Credit Card Rewards - Credit card companies have figured out that people like travel. There are tons of credit cards out there that give customers huge incentives to book travel using their credit cards and have simple ways to turn these rewards into travel credit. Affiliate Rewards (NEW) - Most people don't take advantage of this mechanism because there's really no easy way to do it. OTAs, Airlines and Hotel brands pay marketers to generate leads for them through affiliate marketing. Lucid Travel is working to bring this lucrative rewards system to frequent travelers who are looking for ways to increase their cash back rewards for travel bookings. With Lucid Travel, you can access these affiliate cash back rewards in a couple of clicks. Lucid connects you to OTAs, Hotel Brands and Airline websites (like normal) but gives 2-5% cash back every time you book. You can even still apply your corporate discounts and personal rewards on these sites. We're primarily working with sports teams and universities but business travelers have asked if they could use our technology for their travel. The answer.... ABSOLUTELY - You can create your free account in less than a minute and start getting cash back on every booking. Best part is, all your receipts (despite booking on different sites) will populate in your booking history which streamlines the reimbursement process (no more searching through emails to find receipts to add in your expense report). Email me at ben@lucidtravel.us if you'd like to be in our Business Beta Program. For participating, we'll give you 100% of our profits for the first 2 months (which means 4-10% cash back).